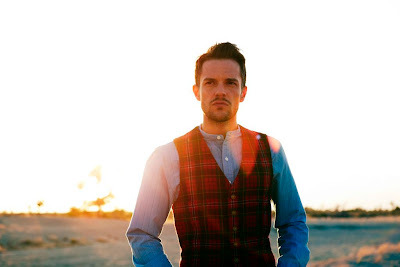 "Crossfire," Brandon Flowers' first solo effort was solid. It had a little something for the Killers fans but was commercial enough that it SHOULD have done well on Top 40...but alas...it didn't. The single DID do decently on Alternative Radio, peaking at #6 on the Billboard Alternative chart and at #11 on the Billboard Rock chart. Let's see how the song does on UK radio, where it was released this past week. Backed by remixes from the legendary David Morales and Loose Cannons, I feel as if "Crossfire" should do well on the dance charts but who knows what'll happen. 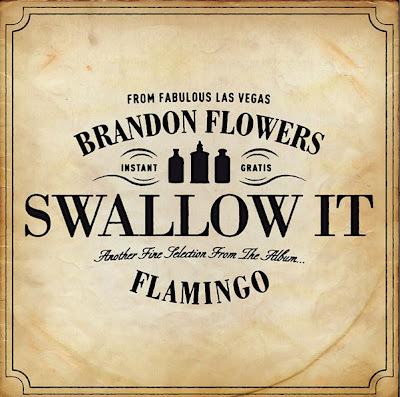 This past week Flowers' second single, "Swallow It" was digitally released here in the U.S. I'm not sure how I feel about this song. It kind of sounds like a VERY stripped down Killers' song. Yes...Flowers was the voice of The Killers but for the first time I feel like I'm really hearing what Flowers sounds like and I have to say...I'm not impressed. There's no question, Brandon Flowers has a great voice, I just don't know how it does with this particular song. His delivery is just SO dramatic...which sort of clashes with the instrumental. Produced by Stuart Price and Daniel Lanois "Swallow It" is an interesting choice for a second single. In other news...check out this live footage of Flowers performing Kim Carnes' classic "Bette Davis Eyes." It definitely restores my confidence in Flowers' vocal abilities. Flowers' debut album Flamingo is due out in the UK September 6th and in the US on September 14th. All songs were written by Flowers and the majority of the album was produced by Stuart Price, Daniel Lanois and Brendan O'Brien. AHH. I know I'm a little behind with this bit of news but Pixie Lott FINALLY released a single here in America! 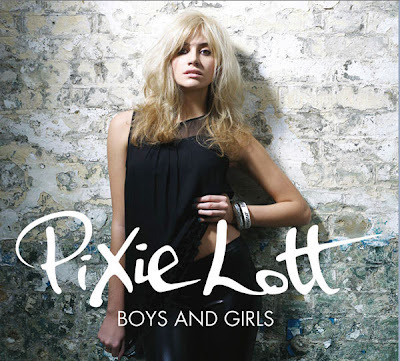 "Boys and Girls" was originally released in the UK as Lott's second single off of her debut album, Turn It Up. The single proceeded to go all the way to the top of the UK Singles chart turning into her second consecutive #1 UK single (after "Mama Do (Uh Oh, Uh Oh)"). I'm BEYOND thrilled that Lott is putting out her brand of pop here in the states. While I am a little nervous about how it will fare over on this side of the pond, I'm mostly just glad that people in America have the chance to listen. Pixie Lott looks like a pop star, in that she's gorgeous and blonde but her sound is completely original. "Boys and Girls" was written by Mads Hauge, Phil Thornalley and Pixie herself. The song was produced by Hauge and Thornalley. Check out the Diane Martel-directed video below and buy your copy on U.S. iTunes now! While you're at it America, pick up a digital copy of her live performance at the iTunes Festival! Uploaded by Videozz. - Music videos, artist interviews, concerts and more. With the release of "Boys and Girls" in America, and the forthcoming release of her album in the States next year I can only hope this means Lott will make her way to the U.S. for a small tour. Best believe I'll be there. America, get familiar with Pixie Lott. How can you NOT like Cee-Lo Green? Whether you're listening to his solo stuff or collaborative efforts with DJ Danger Mouse (Gnarls Barkley) or Kelis ("Lil Star") his voice is just so infectious. 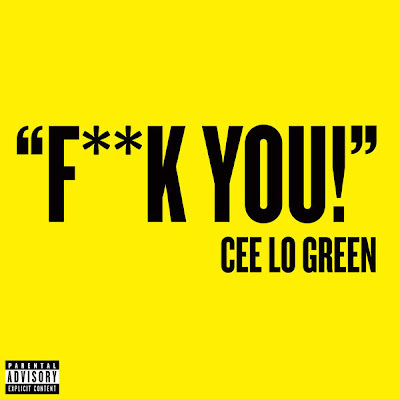 "F**k You" was released August 25th via Elektra Records and INSTANTLY became a viral hit, thanks in part to a simple video featuring the song's lyrics appearing in front of a brightly colored background (watch it below). "F**k You" is from his forthcoming solo album, The Lady Killer, due out December 7th, also through Elektra Records. GOD I love this song. What a perfect FU to the end of summer. As on-top of new UK music as I like to think I am, every so often, a talented artist slips through the cracks. This unfortunately was the case with 24-year old UK singer/songwriter Tiffany Page. Page definitely has the look of a pop star, resembling Leighton Meester with a little bit of Stacie Orrico and Gabriella Cilmi. In other words, she's gorgeous...but can she sing? To put it simply...YES. Girl can sing. Her sound is completely unexpected, much like Amy MacDonald. Pop, rock, soul...her musical style's got a little bit of everything and I kinda like it. "You Won't," due out on September 27th is the third single off Page's forthcoming debut album Walk Away Slow, due October 4th via Mercury Records. Page's debut single, the album's title track, came out in March. Failing to chart, second single "On Your Head" was released back in May, peaking at #102 on the UK Singles chart. Disappointing. The album was originally expected out in August, however now it appears to have been pushed back until October (per Amazon UK). While I definitely like the rock & roll edge heard on "Walk Away Slow," I prefer it when Page shows her sassy side in a song like "On Your Head." The song's still got some rock influences but it's more fun. The single and video have a very Eliza Doolittle-like flavor which I really think works for her. "You Won't" is a soft and beautiful pop ballad, showing off yet a different side of Page. I think it's good that Page is showing her versatility here. Every single has had a different sound. Hopefully Mercury gets it right with the release of this new single. Tiffany Page is a talent that shouldn't be squandered. Scottish singer/songwriter Amy MacDonald is been one of my favorite imports for quite some time now. Well...I guess not all that long since her debut album only came out in 2007 but still. Since 2007 at least I've been raving about Amy MacDonald. As if I needed another Amy MacDonald song to rave about, she releases her new single "Love Love" on October 4th through Mercury Records. Brilliant! There's just something mesmerizing about the way she sings and it could very well be her BEAUTIFUL Scottish accent. I also have a feeling that it has something to do with her talent, both as a songwriter and as a vocalist. She just writes and sings so far beyond her years (she's only 23!) it's astounding to me. Her voice is deeper and more soulful than you'd expect, given her petite appearance but then again, looks can certainly be deceiving. A Curious Thing is the 2010 follow up to her debut album, This Is The Life, which went all the way to the #1 spot in the UK (not to mention in Switzerland, Denmark and Belgium). While A Curious Thing didn't match it's predessor's chart success, it did quite well on it's own, peaking at #4 when it was released this past March. "Big, bold and dramatic. Intimate, tender and touching. It's Amy MacDonald, full-voiced and rebooted and reenergised, with added hammering piano and a couple of guest spots from Paul Weller." While MacDonald's albums tend to sell, her performance history on the singles chart is less than stellar over in the UK. 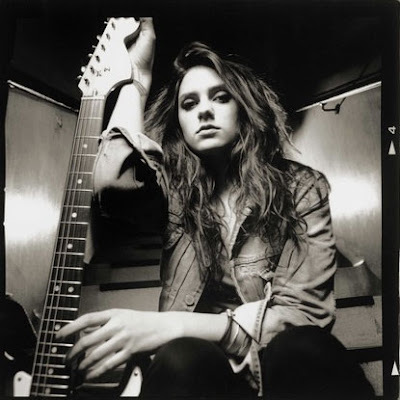 To date, her best performing single has been "Mr. Rock & Roll," the second single off of her debut album. "Love Love" is the fourth single to be released off of A Curious Thing, so hopefully it will do better than her previous three efforts. Lead single "Don't Tell Me That It's Over" peaked at #48 while "This Pretty Face" only managed to hit the #138 spot. "Spark" failed to chart at all in the UK. In all fairness, her singles have been performing better elsewhere in Europe. Busy promoting the album all over Europe, Amy MacDonald played a sold out UK tour including a set at the prestigious Shepherds Bush Empire and NOW she's set to embark on a new UK tour this upcoming October. Check out the tour dates below and pick up her new single "Love Love" on October 4th. Norah Jones has the kind of voice that lends itself to a variety of different genres of music. 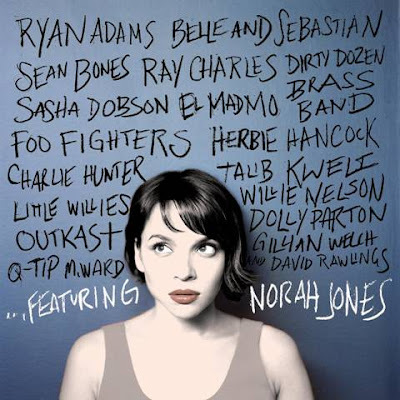 From dance to hip-hop, jazz to pop Norah Jones is COMPLETELY versatile in that regard, which is why her new compilation album, ...Featuring is so perfect. Her last album, 2009's The Fall, which debuted at #3 on the Billboard 200, marked a slight change in direction for Jones. The album was a bit more experimental in terms of production and overall sound, something that I was quite excited about. 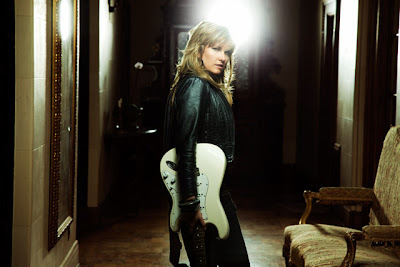 While there's always room on my iPod for Jones' brand of smooth jazz/pop I was excited to hear that she was going a little bit more...all over the place this time. Working with Jacquire King (Kings of Leon, Modest Mouse), Ryan Adams and Will Sheff (from Okkervil River) as well as longtime partner Jesse Harris - I was pleasantly surprised with the end result. I should mention that there is one notable omission here..."Dreamgirl," Jones' collaboration with Saturday Night Live outfit The Lonely Island. Oh well. Pick up your copy when it's released on November 2nd. Her album The Fall is out now. 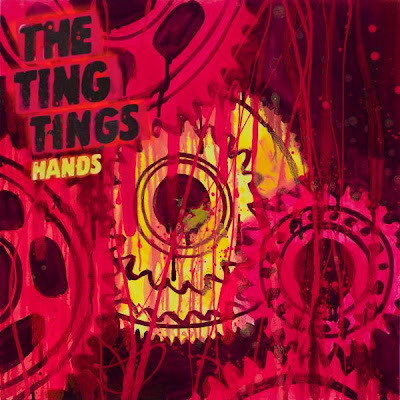 The Ting Tings are 'Hands' on with New Single! "Our time in Berlin was a fresh start, with no rules again. When you've had an album that's been successful, the danger is you go back in the studio, look back and try and emulate it." Lead singer Katy White added, "It'd be so lazy and easy to make the same album twice," and I completely agree. This explains the new sound. The duo's last album managed to take the #1 spot on the UK album's chart and despite receiving some good exposure in the States with "Shut Up and Let Me Go" (featured in one of those usually buzz-generating Apple commercials), the band's UK chart success wasn't matched on this side of the pond. Sad story. Their debut album only peaked at #78 on the Billboard 200, which for a new UK artist isn't all that bad. The Ting Tings saw more success on the Billboard Hot Dance/Club Play chart where they had three Top 5 singles and with Calvin Harris mixing this new single they're likely to have repeat success on the dance charts. The single is out October 11th on 12" limited-edition vinyl and digital download. Download the Retro/Grade remix of "Hands" for free HERE and check out the song below. This is a hot one! Cool Kompetition: Make A Video for Kassidy and Win £1000! Taking FULL advantage of the social media craze rockin' the music scene in recent years, Scottish rock outfit Kassidy has just launched a new competition to celebrate the release of the Rubbergum EP Volume 2. The competition is pretty simple. All fans have to do is make a video using the song "Panic Day" as the soundtrack. Just download the track HERE and upload your video as a response to Kassidy's video below. It's that simple! The winner's video will be used as the OFFICIAL "Panic Day" promo video as well as winning £1000. The competition closes on September 13th so get crackin'! The competition is open to residents of the UK only. The Rubbergum EP Volume 2 is in shops now. I LOVE what I do. While I don't get paid for blogging about music, there's definitely a pay out. The reward for me is the music itself...whether it be new stuff from an old favorite or a new discovery. Singer/Songwriter Zoe Scott is the latter. Her new single, "Hard Habit" is DEFINITELY worth a listen (or two). Check it out when it's released on August 31st. Scott's new album, Woman On Top features a talented group of collaborators including The Wax Team (Rihanna, Norah Jones), Wizards Of Oz and master mixers Jim Scott (Red Hot Chili Peppers) and Mike Shipley (Aerosmith, Shania Twain). Scott wastes no time showing us what she's got in her new single "Hard Habit." (Listen to the single HERE) Strong vocals mixed with ROCK solid pop/rock production equals a very solid effort. At first, listening to Scott brought to mind Lucy Woodward's 2003 single "Dumb Girls." Not necessarily a bad comparison to make but nothing truly groundbreaking. By the middle of the song Scott goes ROCK & ROLL complete with crazy guitar riffs and a big, loud, powerful chorus. Gone is the Lucy Woodward comparison, now she sounds like classic Sheryl Crow. The LA-based singer/songwriter is very much influenced by all of the places she's been. "I see places as canvases," she says. "It's what I react to." Born in London, she moved to Rome, did some acting, moved back to London, moved back to Italy before heading off to Spain. From España, it was off to Sunny California with her sister. The rock-influence in her music is not shocking. Heavily influenced by Jim Morrison, Zoe Scott lived in a Ford Econoline van right down the street from the late singer's house in Laurel Canyon. "We were so passionate and so young. We were here to make rock and roll music like our favorite artists." 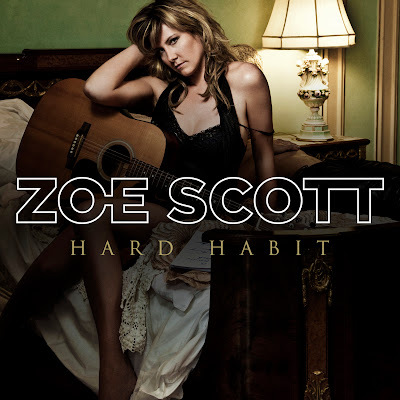 In 2005 Scott released her debut album via Zeus Records with guests John Rzeznik (Goo Goo Dolls) and drummer Kenny Arnoff. According to Scott, her debut was "earthy and laid back." While there are definitely elements of that sound in her new material, Woman On Top appears to be, overall, a different kind of sound - an "upbeat rock and roll manifesto of empowerment, liberation and authenticity." Expect big things from Zoe Scott.